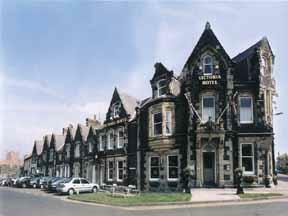 The Victoria Hotel overlooks the village green in the heart of historic Bamburgh. The village is dominated by a magnificent Castle (visible above) which has featured in many historical films. Both Holy Island and The Farne Islands are visible from its ramparts. The warmest of welcomes awaits you at The Victoria Hotel. Built in the style of a Manor House making it one of the most distinctive hotels in Northumberland. 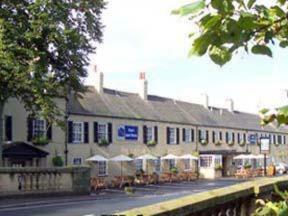 Overlooking the Derwent Valley, this beautiful hotel is located within easy reach of Newcastle and Durham. Derwent Manor is set in 20 acres of land and the interior is every bit as impressive as its exterior. 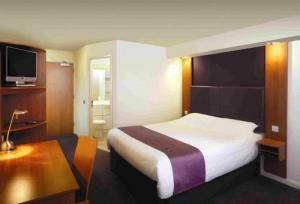 Most of the spacious en-suite bedrooms have timber-beamed ceilings and all have one or two double beds. Guinevere's Restaurant, with its huge open fire, serves a range of English and continental cuisine in stylish surroundings, while hearty bar meals can be enjoyed in our Grouse & Claret pub. For the corporate requirements or for social occasions and weddings, the hotel boasts a range of Conference and Banqueting Suites seating up to 300 guests. Leisure Club (opened October 2003) with indoor pool, sauna, spa bath and fitness centre. For modern, professional and friendly service in a grand setting, any visit to Derwent Manor will be a memorable one. This 14th-century castle offers magnificent comfort, set in a 12-acre woodland estate. 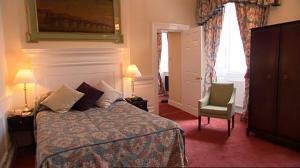 Many rooms have luxury features such as four-poster beds and window seats. Langley Castle is perfect for discovering Hadrian's Wall and other attractions local to Langley. With 7-foot (2.1-metre) thick walls, this exclusive castle is a quiet and unique destination in which to be pampered. Enjoy a candlelit dinner in Josephine's Restaurant (1 AA Rosette), serving regional produce, seasonal fish and local game. For a drink, the superb drawing room has stained-glass windows and a log fire. 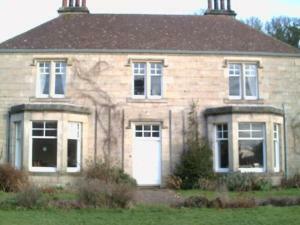 Winner of the One North East tourism awards for 'Best Small Hotel 2006', gaining Silver in the 2007 national finals. Directly opposite the castle, the Sun Hotel portrays all the charm of a seventeenth-century coaching inn. Offering superb accommodation in a secluded position, the hotel has ample car and coach parking facilities. Visitors are frequently surprised to discover the size and facilities of the hotel, and the splendour and comfort of its decoration and furnishings. These are complemented by 'good old-fashioned service' from our professional and dedicated team of management and staff. Few places offer such an ideal setting. 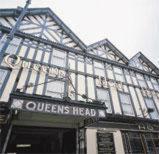 Whether your stay is business, pleasure, visiting for a special occasion or conference, or just calling in for a meal or drink, you will always be assured of a warm and friendly welcome. On the River Wansbeck, close to the centre of Morpeth and with good transport links to Newcastle, this refurbished 18th-century coaching inn boasts an authentic Italian restaurant on site. 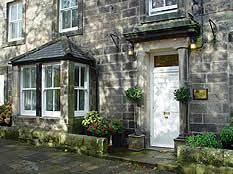 The Waterford Lodge Hotel has a convenient location, close to the heart of the historic market town of Morpeth and just a few hundred metres from Morpeth Railway Station. Trains run regularly from the station to Newcastle, London and Edinburgh. 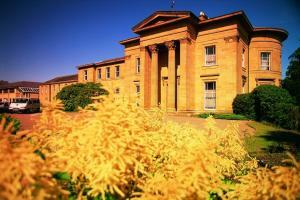 The historic, award winning, Carlisle Park is next to the hotel. There is a private off-street car park with plenty of free parking available for guests. 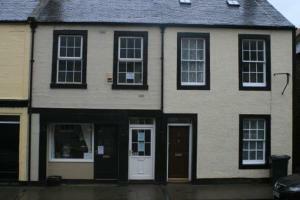 There are 16 centrally heated en suite rooms, including double and twin rooms. 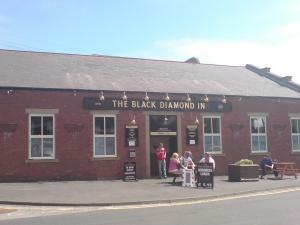 The hotel has recently been substantially refurbished and the fully renovated bar offers beers, lagers, wines and spirits. Forming part of the hotel, the famous La Piazzetta Restaurant offers fine Italian cuisine and is accessed directly through the hotel's lively bars and beer gardens.